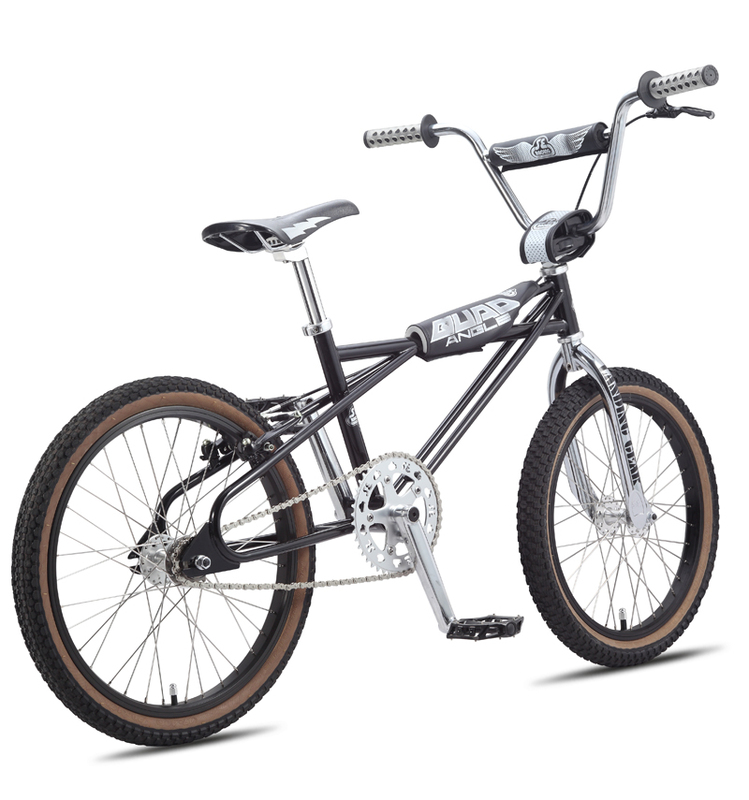 The iconic Quadangle Looptail makes its return in 2014 with its unique frame design featuring the double downtubes and a looptail rear end. 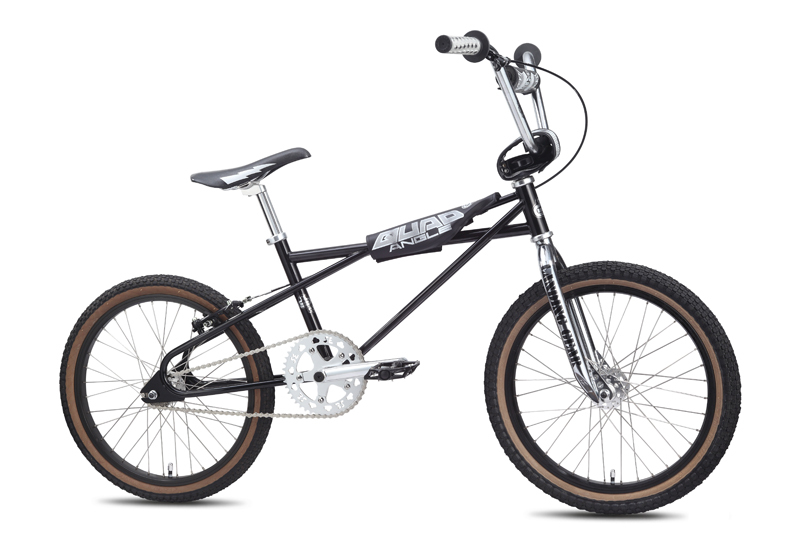 The bike looks just as it did back in the day, but is designed with modern-day geometry. 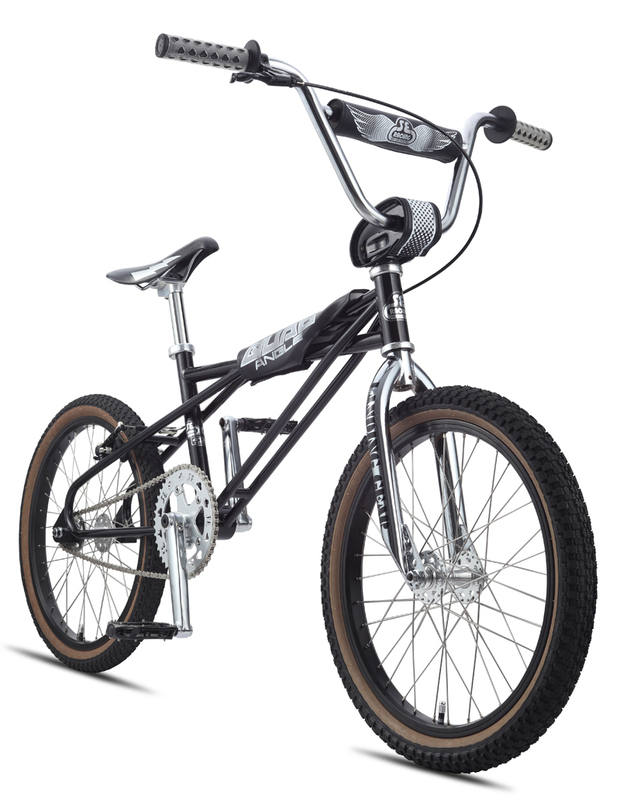 The 2014 edition features a smooth black & chrome colorway that the old-school BMXers are sure to dig. HANDLEBAR Cr-Mo Power Wing, 28.5" x 8.25"
SEAT TUBE, CENTER TO TOP 12"